People don't remember what they have learned and it is affecting our finances. Savings rates are down and financial education doesn't seem to have the desired impact. Cognitive Science research reveals that information taught in a compressed timeframe, such as a short course or single-session workshop, is usually forgotten, regardless of how engaging the instruction. Strategies to improve retention include periodic review of the material, retrieval practice (testing oneself), and elaborated feedback (explanations for correct/wrong answers). How might we use this Cognitive Science research in collaboration with technology to enhance the impact of financial education? We designed a mobile application to supplement financial education and support a study of the ways technology can improve retention. Our app tracks information retrieval and retention, to track successful methods and best practices. 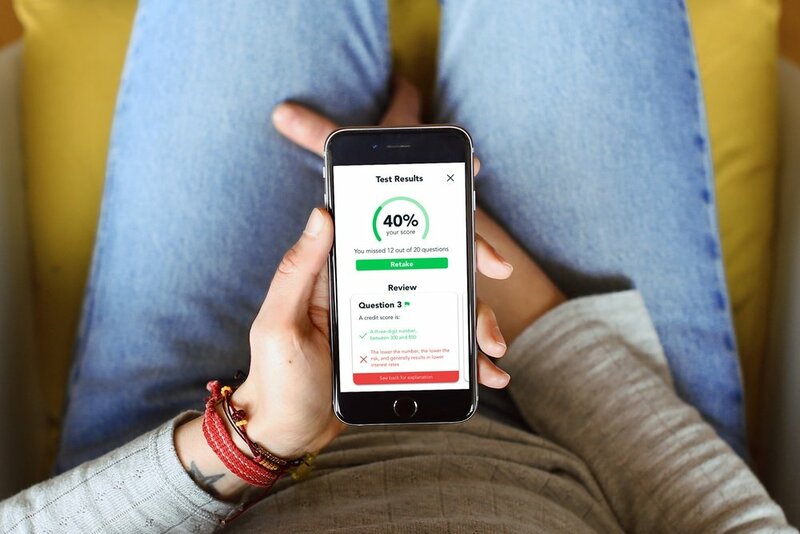 It prompts users to review the material via push notifications and encourage users to stay involved with the study through a monetary reward system. The app can differentiate between two user groups: a group which receives quizzes every few months to promote recollection, and a control group which does not.